Lawn Fertilization And Weed Control Services St. Louis, Missouri. We specialize in lawn fertilizing and weed control for healthy growth. The nicest looking lawns throughout St. Louis usually have a couple of things in common. First, they are usually properly maintained by lawn care professionals who know exactly how to care for a lawn and secondly they are probably implementing some type of regular feeding and fertilization program along with proper weed control to keep the lawn in a very healthy, lush, green state. Irreco LLC is a full service lawn care and lawn maintenance company based out of St. Louis, MO. We specialize in providing complete lawn care services including lawn fertilization and weed control for both residential and commercial customers. We provide our lawn fertilization and weed control services as part of our regular lawn care programs or as a standalone service. We can provide lawn fertilization and weed control for properties like HOA’s, townhomes, condos, and other residential developments and also for commercial properties. What Fertilizer Does Your Lawn Really Need? Like all plants, your lawn thrives on the availability of certain elements. Those elements are NPK. This stands for Nitrogen (which is good for lush green vegetative growth), Phosphorus, and Potassium. Your grass requires these elements along with many other trace elements in varying amounts throughout the year. For example, in the spring when rapid growth is happening very quickly your grass will need lots of Nitrogen. Knowing this important balance of nutrient requirements throughout the seasons makes a big difference in how effective your lawn fertilizing strategy will be. 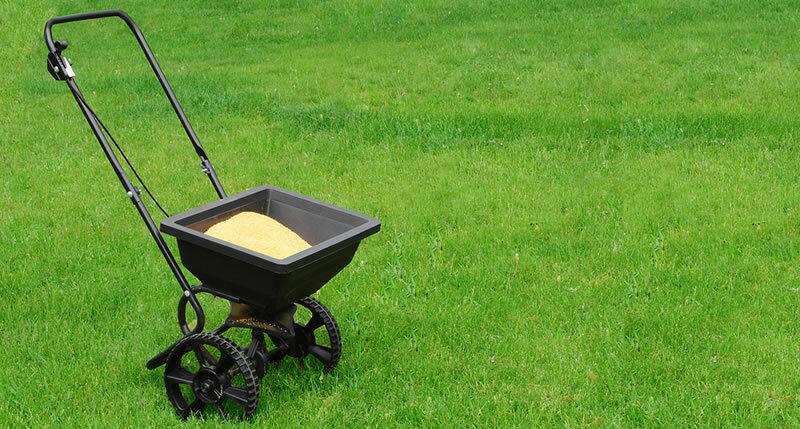 Fertilizer isn’t just a one time thing either… If you want a healthy looking lawn then it needs to be fed regularly usually in 4-6 week intervals for the best results. There are literally thousands of lawn fertilizing products on the market but there are only a select few that work exceptionally well in our climate in St. Louis. Why Does Your Lawn Need Weed Control? When your lawn is overgrown with weeds the weeds will eventually choke out the grass by taking away the available water and nutrients. The result is patchy, dead or dying brown grass and an inconsistent appearance in your lawn. Our weed control and lawn fertilizing programs are not a one-size-fits-all solution. We custom tailor our weed control and fertilization packages to your specific property and the specific needs of your grass. A lawn that is growing strong and healthy will actually prevent weeds from growing because the weeds won't be able to compete for nutrients or sunlight.